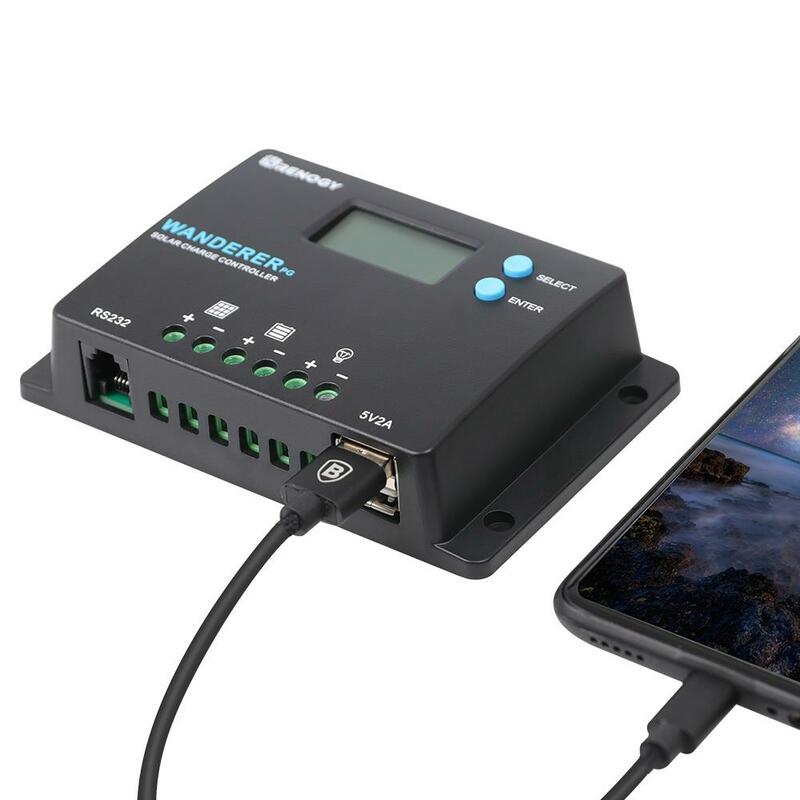 Designed for off-grid applications, the Renogy 10A Wanderer PG solar charge controller integrates efficient PWM charging to increase battery life and improve system performance. Once connected with a 12V/24V battery or battery bank, the controller's LCD will display pertinent battery information and protect the system from overcharging, short-circuiting, and more. Compact in size, the controller is an easy addition to any compatible solar setup! Optimized for a 12V/24V system; Deep Cycle Sealed (AGM), Gel and Flooded battery option ready. Smart 4-Stage PWM charging (Bulk, Boost, Float, and Equalization) and temperature compensation increases battery life and improves system performance. Intelligent protection against reverse polarity, overcharging, short-circuit, and reverse current. Compact size makes it easy to install virtually anywhere.